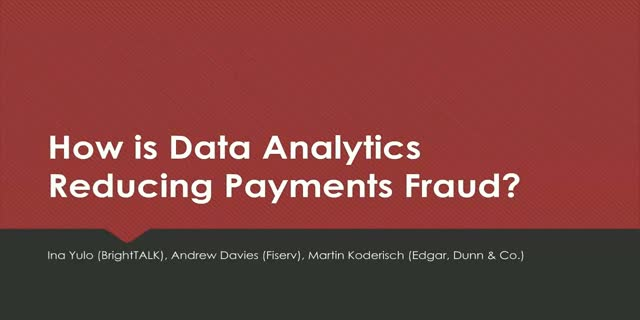 How is Data Analytics Reducing Payments Fraud? Predictive Analytics and the study of Big Data has helped many institutions to detect fraudulent practices before they become a hazard to the business. This is especially evident in the Financial Services sector where deploying an efficient prevention and detection strategy is of utmost importance. Title: How is Data Analytics Reducing Payments Fraud?